No, US President Donald Trump told conspiracy theorists Wednesday, he does not have a body double of his wife accompanying him on work trips. "The Fake News photoshopped pictures of Melania, then propelled conspiracy theories that it’s actually not her by my side in Alabama and other places," he tweeted. "They are only getting more deranged with time!" The body double conspiracy theory has been around since at least 2017, but resurfaced Monday when participants on ABC television's morning show The View examined a surge of internet chatter about the former fashion model's Alabama appearance. 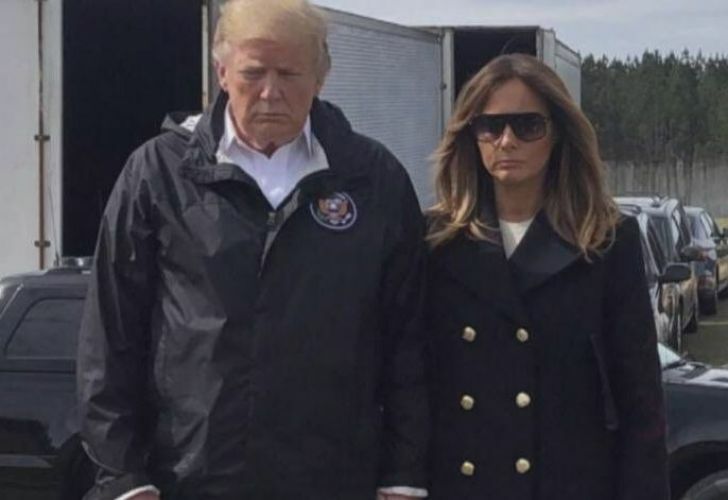 The hashtag ‘#fakemelania’ has been active for years, with theorists purporting that a body double of Melania with different body language, facial features and posture has been active at many events which Melania hasn’t wanted to attend. The first lady's spokeswoman Stephanie Grisham called the show's joking on the subject "shameful."